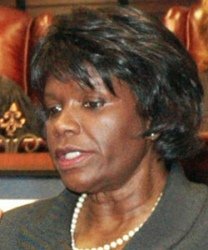 First African American female to serve as an Appellate Court Judge on the Mississippi Court of Appeals (May 2010). First African American female Circuit Judge in Hinds County, MS (March 1997). First female to serve as Chief Legal Counsel for the Lieutenant Governor of Mississippi (1992). First African American female appointed to the legal staff of the Mississippi State Senate (October 1986). First African American employed by the University of West Alabama (January 1976).